5 Secret Marketing Techniques to Grow Your Website! It’s an unfortunate part of life that WordPress Errors are going to happen. The good news is that there is always a solution to the problem. Figuring out what the problem is can be tricky and time-consuming. Just like you would call a plumber to help fix your leaking sink, you’ll need someone with WordPress skills to help when your website has a hole in it. Let us explain a little about what happens when we fix an error that’s on a site. A known error to happen to WordPress sites is the 500 Internal Server Error. The number 500 is a status code that says this is a server-side type of error. In order to pinpoint where the problem is, we need to find where the file is that the issue stems from. Every hosting company that is worth its weight in salt should have a server log with all activities happening on it. Among those activities are errors that arise which should be on the log file or a separate file called an error log. It is on the error log where we should find the exact line or lines of code that is causing the problem. We at Critical Web Solutions have experience in fixing these errors quickly. Usually, the problem stems from the .htaccess file being improperly setup. Just by temporarily editing the file on the server, we sometimes can bring a site back up. Another place we check is the permissions on the folders and files on the server. We want to make sure that file/folder permissions are set to 644 and 755 to access them. If that doesn’t work, we will take a look the plugins installed. Instead of checking every plugin one by one, we rename the plugins folder so that WordPress core loads without any plugins at all. If this solves the problem, then it’s just a matter of fining out which plugin is the culprit. 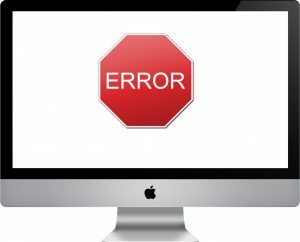 There are numerous other WordPress errors that can arise. Issues such as a database connection failure or a php configuration error can be easily solved. You just need the right people with the tools to go in and take care of business. Contact us if you have an issue and we’ll make sure your site is back to normal fast. The 5 Secrets of Social Media Marketing! © Copyright Critical Web Solutions 2019 - All Rights Reserved.